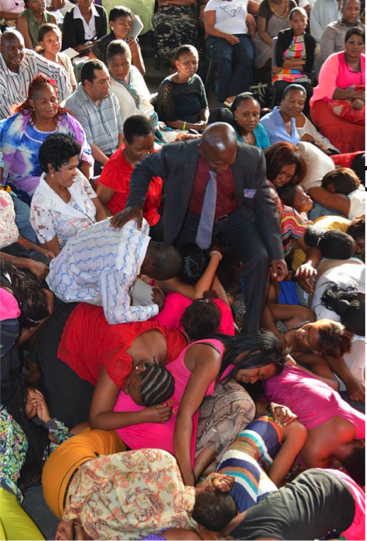 Aftermath the instruction given to them sometimes ago this same Pastor Lesego asking his members to eat grass. Sometimes, i ask myself if this things are happening for real because it seems so strange to me. 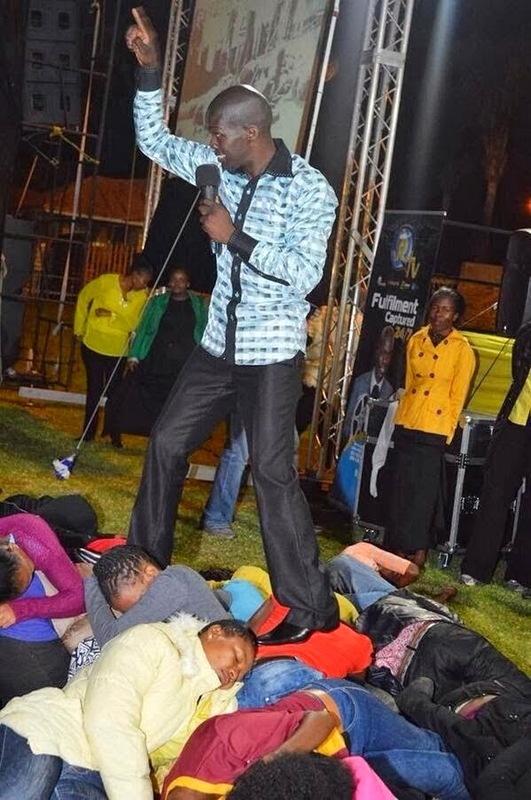 How can a normal human be delivering fellow being by stepping on them. 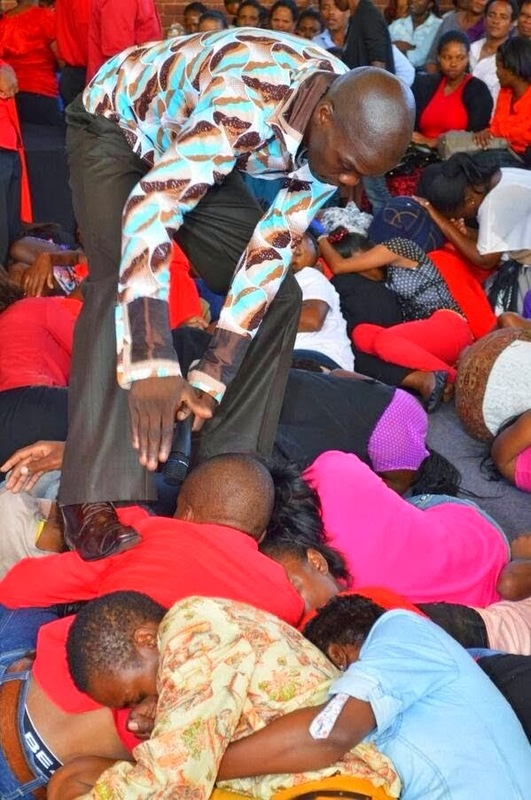 Well i don't really blame the so call man of GOD, is it the illiteracy or will i say ignorance that worries people to lye down and fellow being to step on them in the name of deliverance. Should this really be happening in a house of GOD?